Is BMW Really Selling Husqvarna to KTM? MCN Thinks So. The British enthusiast publication MCN posted a story on its web site earlier today indicating that “multiple sources” have indicated to MCN that BMW is in the latter stages of negotiating the sale of its Husqvarna brand to KTM. You may recall that BMW purchased Husqvarna just a few years ago, and has only recently introduced new Husqvarna models featuring BMW-derived engines, such as the Nuda 900. MCN claims some of its sources believe the deal will be announced this week. If true, this deal brings to mind Harley-Davidson’s short-lived ownership of MV Agusta. Their chainsaws are already orange. The Dutch website Nieuwsmotor.nl is reporting that KTM CEO Stefan Pierer is purchasing Husqvarna from BMW through his personal company Pierer Industries AG and that the deal is not associated with Cross Industries Ltd the holding company in which KTM and Bajaj hold shares. ^This – saw the same story confirming the CEO of KTM is buying them through another company he owns. Before much more time passes, motorcycles will be like Legos. Buy a rolling chassis and snap in your choice of Rotax engines. More like choice of battery and electric motor! 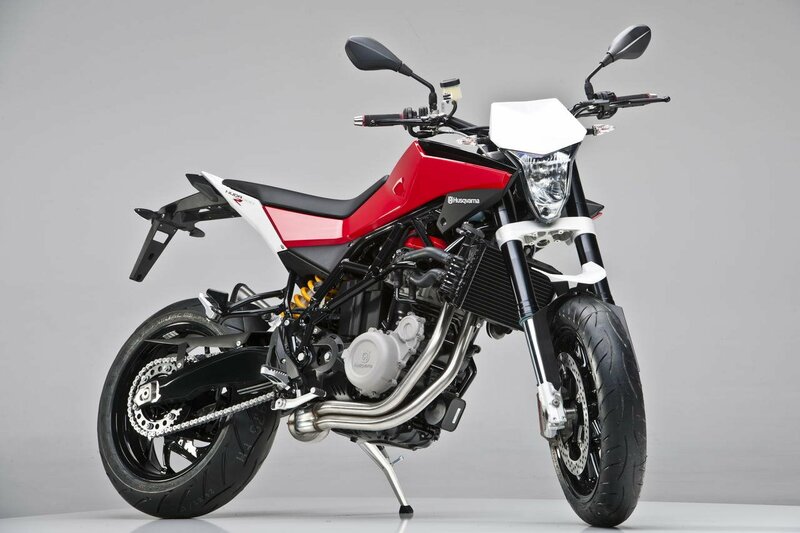 Do any of you know if the Nuda is available in the US? My buddy claims to have seen one but I thought they were not available? What would KTM possibly have to gain by buying Husky? Maybe by killing the brand and hoping to fill the majority of Husky’s small market share void with KTM product? Can’t imagine Husky has enough market share to make that worthwhile. Perhaps KTM wants the platform share relationship with BMW that might come with the Husky purchase to offer some more civilized street machinery. Hard to make sense of this deal from the outside. When KTM was partially bought by Baja they needed the cheap labor. Now, it appears that Baja may well absorb all of them into the Baja name brand. The BMW suits may want out of Husky for profitability (or lack thereof) reasons and KTM could be interested in the production facilities or some other less obvious reason. Or maybe the price is too low to pass up. KTM already has bikes more than competitive with everything in Husky’s line up except their 800 twins. Skybullet Many BMW’s over the years, current F800GS, R80ST, DR650, but I like my KTM SMT best. Went to my local dealer to look at 650 Strada and he said he was very unhappy with Husky and he was sending crates waiting to be picked up back to them. He is also a KTM dealer. Wasn’t KTM going to hook up with another company a few years back and then backed out at the last minute? I know the European companies are doing well in the U.S., but 20% of 10K units is still only 12K, and the market in Europe is in the toilet. Going to be an interesting year. Best looking chainsaw I’ve ever seen! If KTM is really interested in expanding it’s boutique brand names (Husaberg, Husqvarna), they should bring back Penton too. Maybe KTM becomes the street bike brand, Husaberg the enduro bike brand, and Husqvarna the MX/SX brand. With Husky, BMW has recently tweaked the noses of its Beemer dealer network by building models that compete against their own G650 and F800GS lines. Perhaps Husky is being chased away from within. Is this only the motorcycle division? Or did BMW own the outdoor power and machine tool sections of Husqvarna as well? Husqvarna sold the motorcycle division to Cagiva in 1987 which BMW purchased from MV Augusta in 2007. A company has to be pretty small to have been a subsidiary of MV Agusta! Just sell it to the Chinese and be done with it! You know, that is funny, since BMWs last adventure into the “dirt bike” realm with its 450 used an outsourced engine from KYMCO! Kymco is a Taiwanese company, not Chinese. Yes, the citizens of Taiwan are ethnic Chinese, but having existed in a democratic, capitalist society for nearly a century, Taiwanese industry and technology is far ahead of mainland China. I think most people would compare more closely to South Korea in this regard. Good point and in the area of bicycle manufacturing Taiwan is the industry leader producing many of the finest bikes in the world. What did one boxer say to the other? Girl friends come and girl friends go, It’s Bros before hoes, and that is that. Remember the 1997 to 2001 F650? The market for bikes is totally different that it is for cars and trucks. A certain red company has made the mistake of trying to sell bikes with the same ad strategies as cars. So, if this happens, will the Nuda be gone? After all, it uses a warmed over BMW motor, yes? You’re probably correct…it makes just as much sense as most of the other motorcycle brand buyouts and mergers lately, i.e. none. After a while, it just seems like a bunch of money trading hands to determine who gets to slap which badge on the same congealed mess of outsourced parts. Pretty much all of the smaller euro “boutique” brands have the same flavor to them. Do companies like Husaberg and Husqvarna even have a distinct identity anymore? Pretty much the same thing is happening here in the states with Indian. Makes no sense. What would KTM get from this? They do not need the 250/310 engine platform. Don’t need the 450/511 engine. Would not get the BMW motor. And for chassis, again what would they get? Dealer network benefits? Nope. Reach into a different country? Nope. See zero upside for KTM to do this deal. Bummer. In a way, KTM would just be competing with itself. Would be cooler to see someone like Triumph buy it. I don’t understand this move, unless maybe in the context of the Harley-Davidson reference. I believe HD’s reasoning for selling MV and Buell was that the economic downturn was bleeding the company of cash, so it had to cut expenses and raise cash. Does this mean BMW’s in trouble? They are not in any kind of immediate trouble, far from it (obviously any car company faces great challenges in their future). But at the same time it doesn’t make much sense for BMW to own a dirt bike company. They are not going to make much money out of it, they don’t know the market and so on. KTM can and does, but for them it makes even less sense to own Husqvarna. KTM already has the brand, knowhow, production facilities etc. to grow organically. BMW must really be dumping Husqvarna for the deal to make any sense. From KTM’s point of view I see the value in absorbing a competitor, but if Husqvarna is such an obvious poor fit for BMW then the only reason I can think of for them to have purchased the company is to flip it. I still think there’s some sort of problem because as fanatical as BMW Adventure riders are it makes sense to me the company would offer dirtbikes. Why would KTM spend millions for Husky, and then kill it off? Seems like an expensive way to do away with a very, very small competitor. Yeah, your probably right. I’m just curious what they will do. Didn’t like where BMW was going with the TE650, but I must admit, it was affordable. Currently looking for dual sport as my third bike and the TE610/TE630 looks like the best option for a larger 6ft rider like me. I hope this is a good move and KTM doesn’t kill off the husky brand. I thought it odd that bmw dealers where not carrying newest husqvarna’s.